MAZDA MX5 MK1 EUNOS PAIR OF INTERIOR DOOR CARDS, WITH 3 POINT ARM REST DOOR HANDLES & SPEAKER SECTIONS WITH SPEAKERS GRILLS IN BLACK. So Good Luck. No Reserve. We can make the door cards in many more different colours. ONLY THE DOOR CARDS! Mazda MX5 MK2 PAIR DOOR CARDS from a 2003 S-VT car. To suit a Black leather interior. Includes small speaker built in to door card. Used and in good condition. A pair of MAZDA MX5 EUNOS MK1 1989 - 97 - S LIMITED SLTD rsltd red door crash pads with working tweeter speakers. Taken recently from my S Limited and in superb condition. Pads themselves are excellent, tweeters have age related marks that could be touched up if you're fussy. Your door card or any standard replacement will screw straight into these (for those who didn't know they separated). Inspection/ collection from Keynsham, near Bristol welcome. Please contact me before bidding if you would like them posted abroad. Postage will be by Hermes 3 day insured and signed for. MK2.5 NBFL MODELS. COLOUR: BLACK - WITH BLACK LEATHER INSERTS. PAIR OF INTERIOR DOOR TRIM PANELS / DOOR CARDS. 2001 to 2005. These are used door cards, they are in good overall condition but show signs of general wear & tear. Model = Mazda MX5 Mk1. This style of door panel was originally fitted to MX-5 models built between 1989-1993 fitted with electric windows. The door panels have the front end corner cut away to allow for the plastic speaker grille to be fitted. MK2 SPORT BL 2.2 D 6Spd 5 Door. R Rear Door. TRIM LEVEL. Other Details. The head pushes in and expands to hold the clip securely in place. 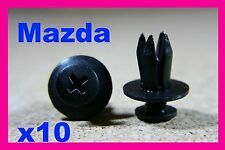 They are widely used across a variety of Mazda models and in various locations on the vehicles. To Fit a 6mm Hole. Model = Mazda MX5 Mk1. This style of door panel was originally fitted to MX-5 models built between 1993-1997 with electric or manual windows and rear door pocket. The window winder hole is already punched in the hardboard underneath. Mazda Mx5 na. For age One of the door cards has the smallest of Nick’ at the bottom of door card have photographed. Pair of original black door cards for manual windows with black pockets. So do have the wear and tear you would expect from an item of this year. PART NUMBER: MXV18036. This style of door panel was originally fitted to MX-5 models built between 1993-1997 with electric windows and front door pocket. The design of the vinyl covering is exactly like the factory originals so that the pocket looks and feels exactly like the original. Model = Mazda MX5 Mk1. Fitting instructions supplied with each set of panels. Year = 1993 - 1997. Specialising in Austin-Healey, Classic Mini, Jaguar, Mazda MX-5, MG, Morris & Triumph. Colour = Black. Mazda MX5 / Eunos. MK1 / NA MODELS / 1989 to 1997. UPPER CRASH PAD A BIT CREASED AS YOU CAN SEE IN THE PIC. LEFT HAND SIDE DOOR CARD ONLY. HA, HD, HG, HP, HR, HU, HX. PA1 TO 19, PE, PH1 TO 14, PL, PO1 TO 22, PR. MAZDA 2TS2 PETROL 1.3 LITRE 2010 MODEL. 3 DOOR HATCH 5SPEED MANUAL. PASSENGER SIDE DOOR CARD. PART NUMBER - N/A. The Blue Containers. AJ SPARES is a large independent Vehicle Dismantlers. Doorskin Front LH. 4 Door Saloon. SE-L Nav2.2 6 Speed Manual Diesel 4 Door SaloonDoorskin Front LH With Part Number “Great Bridge Parts” has high reputation for both quality and service and believes itself to be the market leader in vehicle recycling in West Midlands. 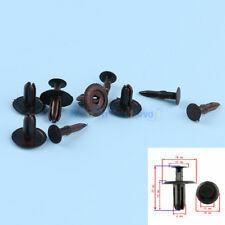 They are a push-fit plastic rivet which fits into a 6mm hole. They can be used for boot linings, door cards, dashboards, roof linings and all other trims. To fit an 6mm hole. This particular clip is used by Honda, Nissan, Mazda and Toyota on many of their models. RIGHT OFFSIDE DRIVERS DOOR CARD INTERNAL PANEL. Our site is spread over 5 acres consisting of a reception area, two large storage buildings, de-pollutions bay, vehicle racking facility, in house crushing/bailing zone. PART NUMBER: MXV18037. This style of door panel was originally fitted to MX-5 models built between 1993-1997 with electric windows and rear door pocket. The design of the vinyl covering is exactly like the factory originals so that the pocket looks and feels exactly like the original. SCOTTISH & ENGLISH OFFSHORE ISLANDS, NORTHERN AND SOUTHERN IRELAND, ISLE OF MAN AND ISLE OF WIGHT ETC. ANY FAULTY ITEM WILL NEED TO BE REPORTED TO US WITHIN 24HR AFTER RECEIVING. Mazda Mx5 Mk2. At MX5 mania we try. Pair of cream door cards. Will only fit 1998-2000. Doorskin Rear RH. Takuya1.6 5 Speed Manual Petrol 5 Door HatchbackDoorskin Rear RH With Part Number 3 2008 To 2011. “Great Bridge Parts” has high reputation for both quality and service and believes itself to be the market leader in vehicle recycling in West Midlands. REMOVED FROM 2014 MODEL. we test all car parts before removing them for sale. to help you with order. 6mm Push Fit Plastic Trim Clips Pack of 50 Head Diameter 18mm Stem Length 15mm To fit an 6mm hole These are interior trim panel clips. 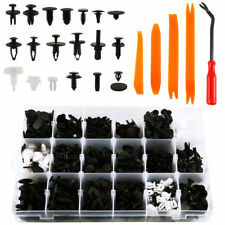 They are a push-fit plastic rivet which fits into a 6mm hole. They can be used for boot linings, door cards, dashboards, roof linings and all other trims. 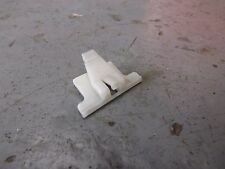 This particular clip is used by Honda, Nissan, Mazda and Toyota on many of their models. However it can be used for any other purpose. Please check the dimensions above to see if it is suitable for your use. This clip is available in packs of 10, 20 and 50. Please follow the link to our shop for details. MAZDA 3 1.6 LITRE TDCI 2005 MODEL. DRIVERS SIDE FRONT DOOR CARD. 5 DOOR HATCHBACK 5 SPEED MANUAL. PART NUMBER - N/A. AJ SPARES is a large independent Vehicle Dismantlers. The Blue Containers. P AINT CODE - 27A (VELOCITY RED MICA). Genuine Mazda Mx5 Mk4 n/s left passenger door card in excellent condition. Black with red trim and stitching plus carbon effect surround. MK2 / NB MODEL / 1997 - 2000. INTERIOR DOOR TRIM PANEL / DOOR CARD. For models with electric windows. COLOUR: BLACK. These are used door cards, they are in good overall condition but show signs of general wear & tear. 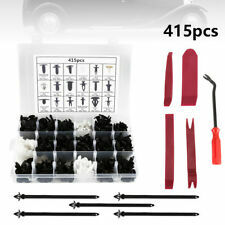 THIS SALE IS FOR THE NEARSIDE REAR BARE DOOR CARD ONLY. 2007 MAZDA-3 BK SPORT 2.0 DIESEL 5 DOOR FACELIFT. PASSENGER SIDE REAR BARE DOOR CARD PANEL. THIS ITEM IS SOLD BARE WITH NO: HANDLES, SWITCHES, MOTORS. REMOVED FROM 2015 MODEL. to help you with order. PART NUMBER - DJ1168450D. MAZDA 2 TS 1.4 LITRE PETROL 2013 MODEL. PASSENGER SIDE FRONT DOOR CARD. 3 DOOR HATCHBACK 5 SPEED MANUAL. AJ SPARES is a large independent Vehicle Dismantlers. South Yorkshire. MAZDA MX5 1.8 LITRE PETROL 2 DOOR 5 SPEED MANUAL CONVERTIBLE 2006 MODEL. PASSENGER SIDE FRONT DOOR CARD. PART NUMBER - N/A. AJ SPARES is a large independent Vehicle Dismantlers. South Yorkshire. The Blue Containers. Mazda CX-7 Drivers Front Door Card. Good used condition, may need a clean. PASSENGER SIDE FRONT DOOR CARD. This item is a used vehicle part and may have signs of general wear and handling. The table below contains further information. Exterior Colour Code. Manufactured Year 2013. Used MK1 MX5 UK or Eunos Right hand Drive. All parts are used and from MK1 Models. 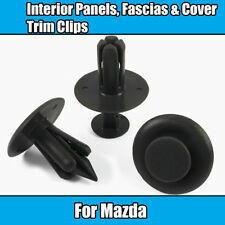 Interior Boot Trim Button / Clip, This is the one in the photo. You find these holding the rear boot panel and also the carpet around the fuel guard. 03 07 FORD MONDEO MK3 1.8 16V 125BHP MANUAL 5SPD 5DR HB PETROL.